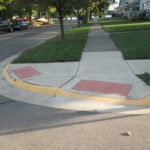 North Central Illinois Council of Governments (NCICG) (www.ncicg.org) has received rural planning funds from the Illinois Department of Transportation (IDOT) to develop and implement a free sidewalk assessment program for a limited number of communities with populations of 5,000 or less that are members of NCICG. Most rural communities lack or have limited financial and human resources to carry out planning activities. 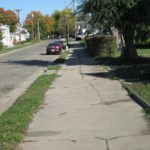 Assessing sidewalks is not often a high priority planning activity. However, a safe and complete sidewalk network provides several benefits to communities including improving mobility and walkability for all residents and visitors, encouraging healthy lifestyles, serving recreational uses, and promoting commerce and economic development. Identify pedestrian needs in target communities in north central Illinois. Increase the safety of the pedestrian system for all users. Increase accessibility and mobility options available to the public. Emphasize preservation of the existing sidewalk network by improving management and operations, creating programs for sharing costs with residents, and fixing trouble spots. Foster efficient and effective pedestrian transportation, thereby improving quality of life in the community. Eligible communities for NCICG’s Rural Sidewalk Assessment Program include current member communities of NCICG, communities located in NCICG’s service area that have populations of 5,000 or less, and communities that have sidewalks. Eligible communities that are interested in the Rural Sidewalk Assessment Program may visit www.ncicg.org for an application of contact NCICG at (815) 433-5830. Grant applications will be reviewed for completeness. Incomplete applications or those lacking sufficient details will not be selected. NCICG will accept applications for the program until March 17, 2017. Late applications will not be accepted. Rural Planning funds from IDOT will enable NCICG to complete 10-15 community sidewalk assessments. If more applications are received than funding will allow, communities will be selected at random. Communities that are selected to receive a sidewalk assessment will be required to adopt a Resolution of Participation. 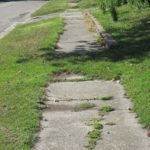 NCICG will meet with the officials of selected communities to define a work plan and discuss any pertinent details relating to their sidewalk needs. Selected communities will be notified by NCICG by March 31, 2017. Sidewalk assessments will occur during Summer-Fall 2017. A Sidewalk Assessment Report and Improvement Plan will then be drafted for each selected community. Plans will be completed and presented to the communities for adoption in Spring/Summer 2018. 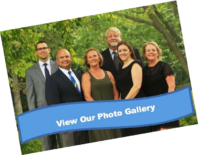 Rural Planning funds from the Illinois Department of Transportation (IDOT) will cover the costs of completing the community sidewalk assessments. Communities will not be billed for any services provided by NCICG related to the Rural Sidewalk Assessment Program. Communities will be expected to periodically meet with NCICG staff throughout the process, attend public meetings, and provide information when necessary. The community will not be reimbursed by NCICG or IDOT for staff time worked during the assessment process. Upon completion of the sidewalk assessments, NCICG will prepare a Sidewalk Assessment Report and Improvement Plan for each of the selected communities. 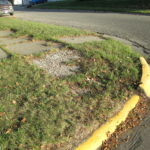 The report will identify the condition of all public sidewalks within the municipality noting any displacement, cracking, spalling, obstructions, gaps, basic compliance with the Americans with Disabilities Act, and other apparent issues. Suggestions and examples of funding mechanisms for the maintenance of public sidewalks will be provided. [i] Julia O’Hanlon, Jacquelyn Scott, “Healthy Communities: The Walkability Assessment Tool,” Institute for Public Administration, University of Delaware, (2010), 1.